University of New Brunswick’s J. Herbert Smith Centre for Technology Management and Entrepreneurship (TME), in partnership with the Government of Canada and Opportunities New Brunswick (ONB), is investing in the launch of an exciting new program to scale-up businesses in New Brunswick and other Atlantic provinces. 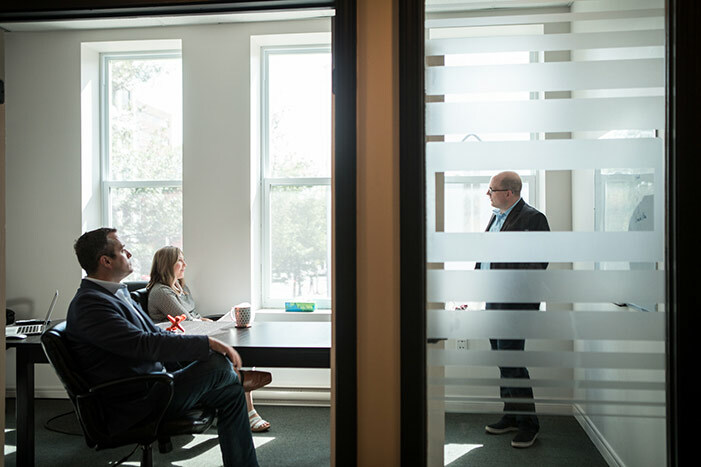 Scale Up Atlantic Canada is a unique program that helps companies grow and provides them with the expertise they need to take the next steps in their development. The program focuses on the three C’s of growth: customers, capacity, and cash. Participating businesses will ready themselves for a rapid growth trajectory. Up to 20 companies from across the province and the Atlantic region will participate in the rigorous program hosted at UNB and lead by Dr. Daniel Isenberg and his team of professionals, who are primarily faculty from the Babson College in Wellesley, Mass. – the number one school for entrepreneurship in the United States. The program, open to businesses in any sector, is backed by an impressive track record, having had success in many countries and jurisdictions including the United States, Columbia, Denmark, Panama, Brazil and Scotland. This type of investment builds on commitments made by the Government of Canada and the four Atlantic provinces to drive economic growth in the region through the Atlantic Growth Strategy, which supports strategic investments in initiatives that build on the region’s competitive advantages such as its skilled workforce and export potential. UNB, ONB and ACOA have partnered to fund this project because of the long-term positive impact scaling up can have for business, local communities, and the Atlantic region. There is no cost for application, however companies selected into the cohort will be asked to pay a program fee of $5,000. Companies must be headquartered in Atlantic Canada. Applications for entry into the Scale Up Atlantic Canada program are now open and weekly reviews of applications are being conducted. Applications close on Jan. 4, 2019 and interested companies can contact Rachel Clarke at rachel.clarke@unb.ca.